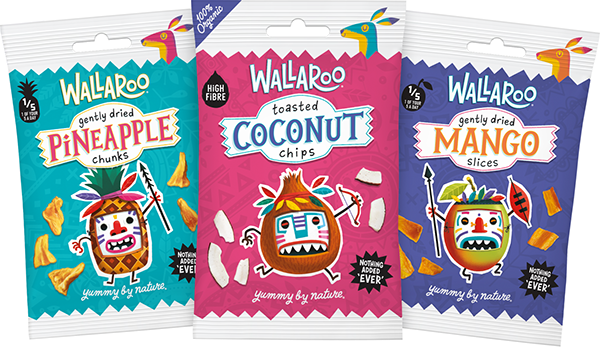 Wallaroo is a new range of healthy snacks for kids. 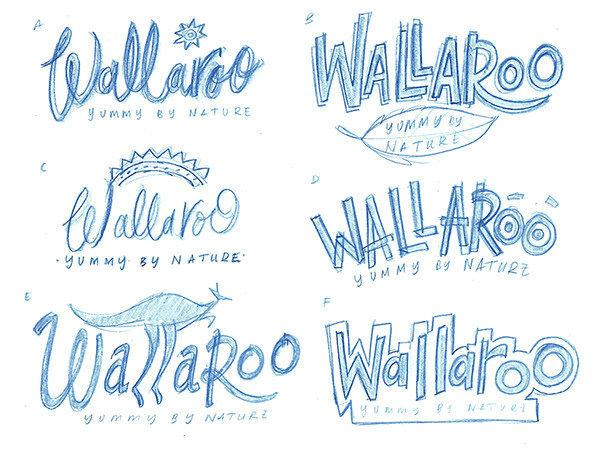 My first job was developing the Wallaroo logo. 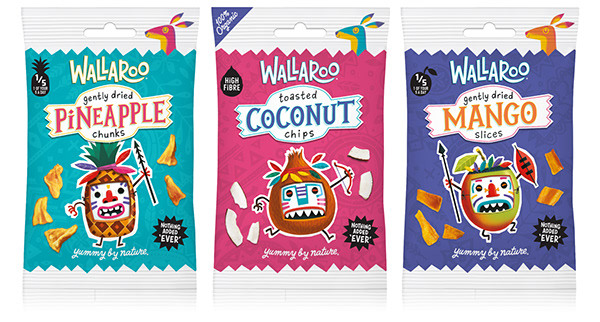 (Incase you didn't know (and I didn't), a wallaroo is a cross between a wallaby and a kangaroo). Keeping the logo compact was important due to the limited space on the packs. Finding the right balance between appealing to kids and looking healthy to parents was probably the trickiest part. One of the obstacles when designing characters for kids is that what appeals to 6 yr olds is rejected by 12 yr olds and vice versa. Trying to find something that appeals to both can be tricky. For this reason I aimed for a more graphic feel with stick man arms and legs. 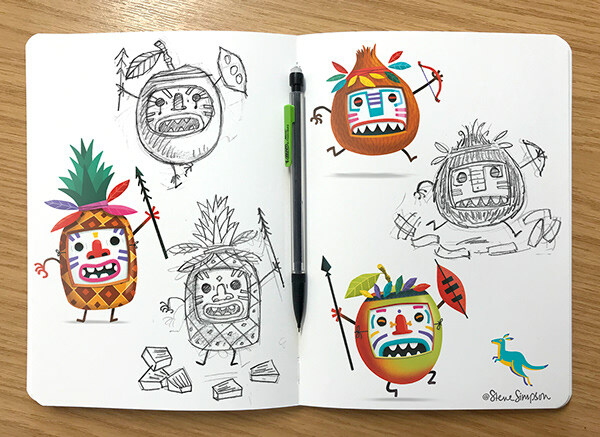 By using tribal masks I'm able to make the characters quirky and keep the eyes neutral, which feels less childlike. Adding the headband leaves allows me to break up shapes and add colour. 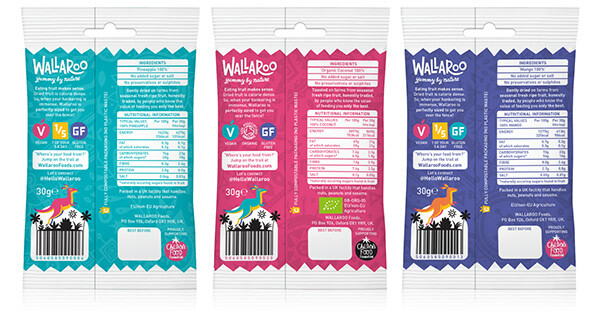 The packs were printed on a nine colour press meaning after CMYK I had 5 spot colours to use across the 3 packs. I wanted a palette that was bright, fun and contemporary. I picked a main colour for each pack then mixed up the remaining colours as accents across the range.